It’s a good thing I like knitting! Hubby: You are like a squirrel stashing nuts. Me: (looks up from my knitting) Huh? 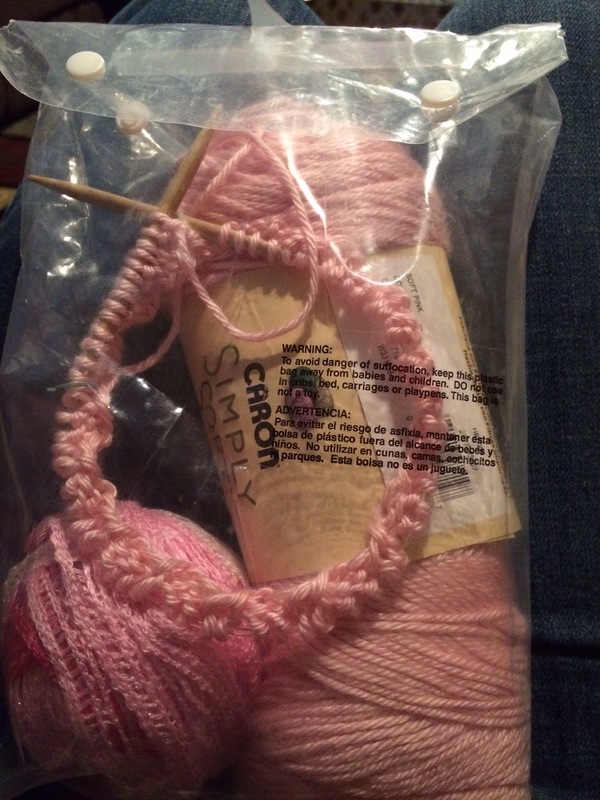 Hubby: You have knitting stashed everywhere. Me: No, not really. Just on my nightstand, in the car, in my desk at work, in the living room…..oh…. To be fair he is not bothered by this but rather amused. I’m just doing my best to take advantage of what little knitting time I have these days. I wonder if squirrels can knit with their tiny hands? But I digress, lol. I’m quite happy with my stashes of UFOs. It’s nice to sneak a stitch in here and there! It’s almost July and summer is in full swing. But I can’t help but think towards fall. I really want jellybean to have some hand knits. I have the itch for a couple of hats and at least one sweater. I also have at least two baby showers coming up. This has led to a bout of start-itis this past weekend. 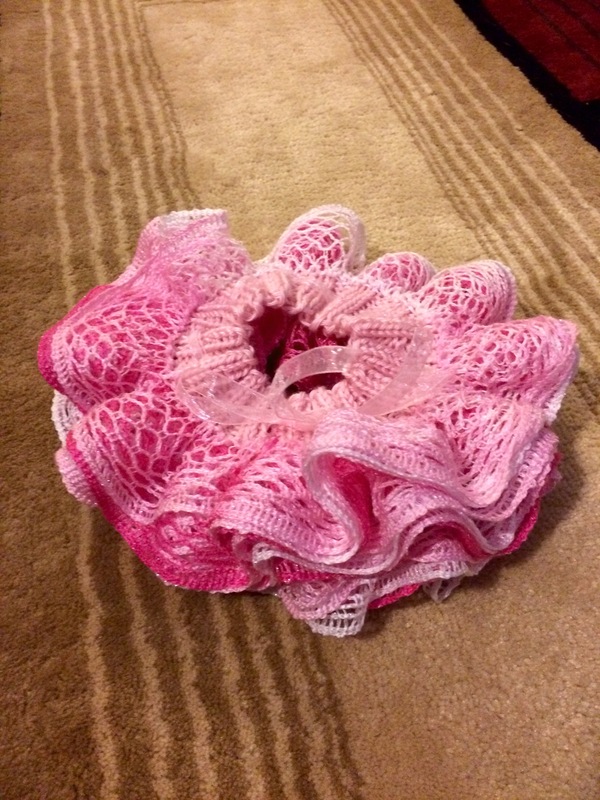 I cast on a Knit Tutu from Smashlee. It’s a pink number for a baby girl due I’m September. Next up is a Dino Cap by Kris Hanson jellybean. I’m knitting the two year old size in some Caron Simply Soft from my stash in hunter green and chocolate brown. I’ve already messed up the pattern but I’m soldiering on. 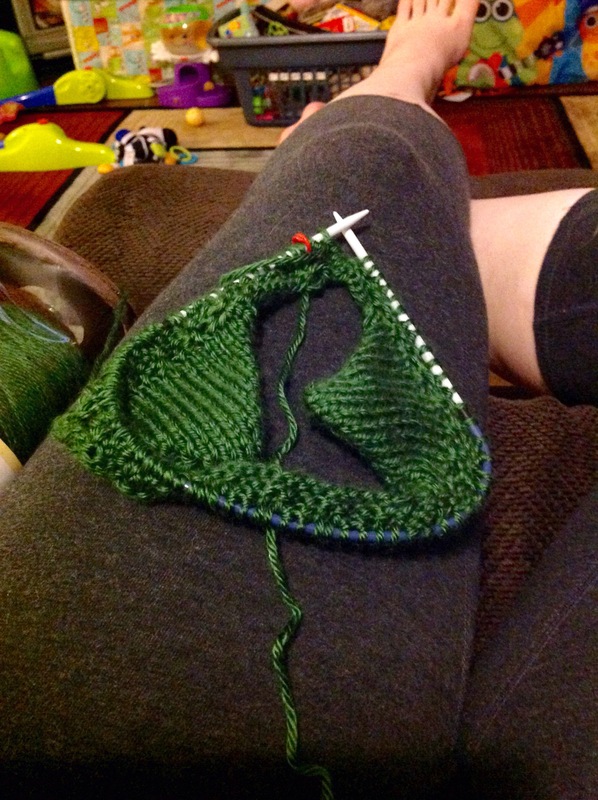 Last up is Double Rib Toddler hat by Torunn Espe. 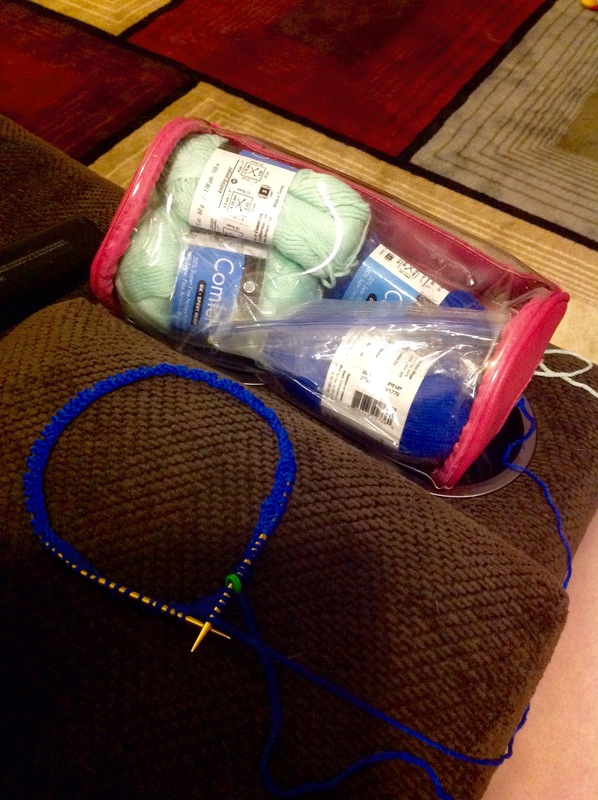 I pulled some Berroco Comfort DK Solids from my stash in blue and minty blue-ish? Now I have more projects than I have hands and time. So this should end well, lol! The chaos of a 9 month old Jellybean who is teething combined with changing jobs has left me with very little knitting bandwidth. Hence my crazy vanilla sock mojo. 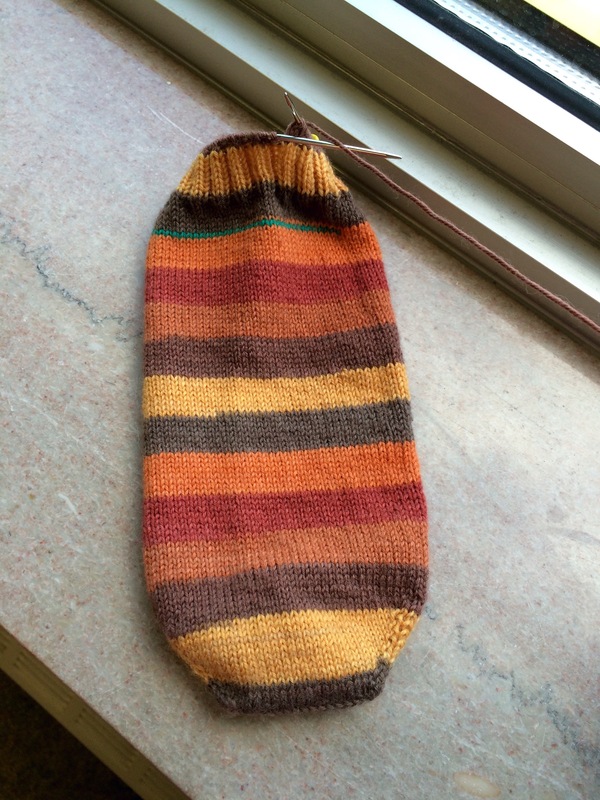 I’ve managed to cast off the first sock of a couple pair of WIP socks! I kind of tired of both of them and cast off before using up all the yarn as I usually do. They have 5-6 inch legs instead of 7-8 that I can usually get out of my skeins. But they still fit and are perfectly functional socks. 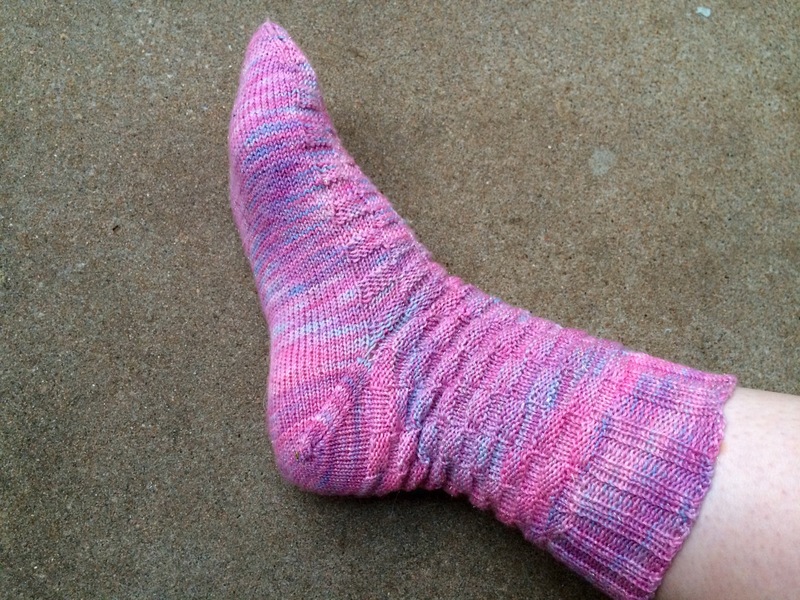 I made sure to cast on both second socks so as not to fall victim to SSS (second sock syndrome). 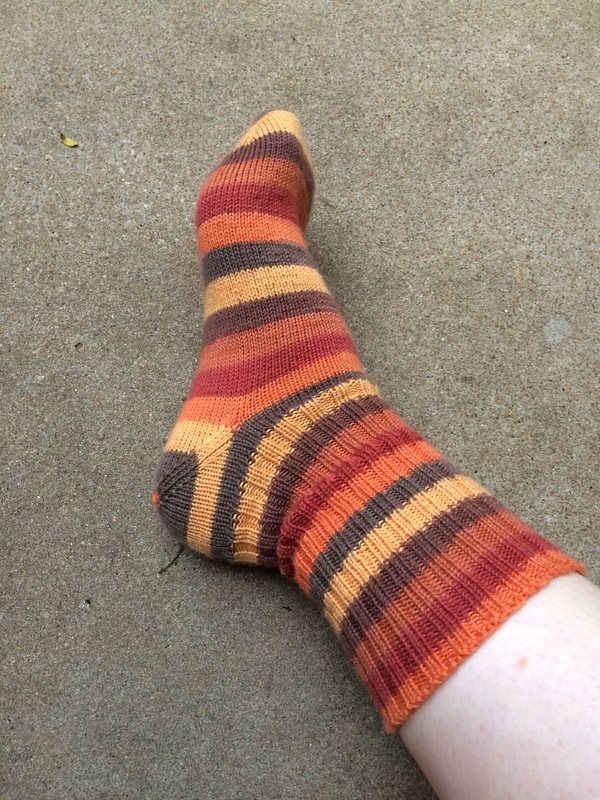 I’m already done with the toe of the checkerboard socks but still working on the increases on the vanilla maples. I’m ready for these to be done and move on to other smooshy yarn! I’ve never been a shawl knitter. I don’t enjoy charts as they don’t make sense in my brain. And honestly I’m a bit sporty in my attire and shawls just didn’t fit my esthetic. But I’ve recently changed employment. It was a good career move and got me out of an unhealthy emotional environment. But I’ll leave that part at that. My new building is an ice box with A/C and I hear the heat is wimpy on the flip side. I’m going to need some business casual options for keeping warm (and possibly a space heater)! 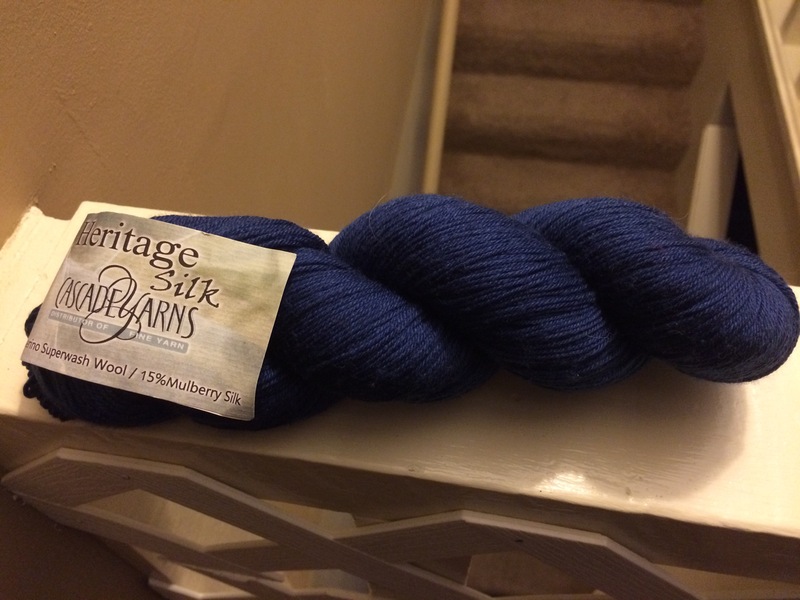 I have a pretty skein of Cascade Heritage Silk in a lovely blue. It’s a merino silk blend and just gorgeous. Here is a terribly lit picture of my skein after Jellybean went to bed. 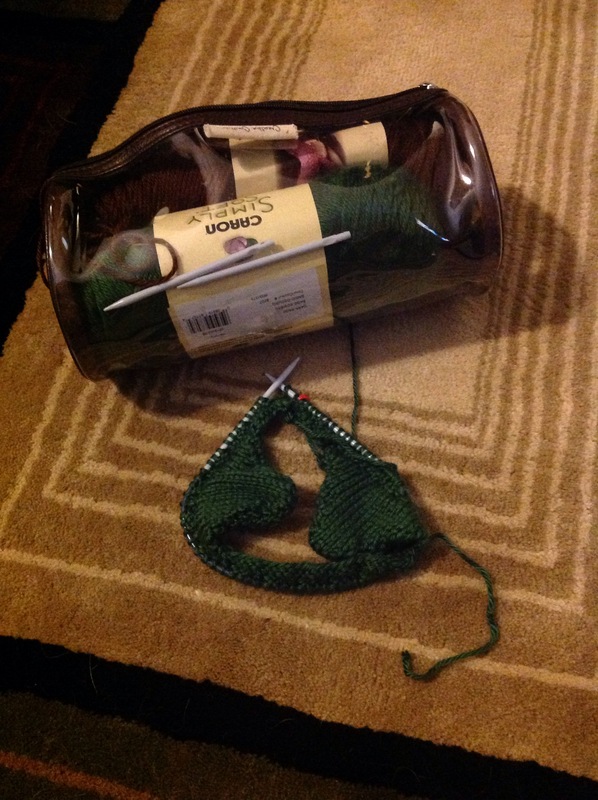 I’ve decided to to knit a Clapo-Ktus by Loredana Gianferri. It’s a cross between a clapotis and a baktus. It’s a free download and designed to use every bit of your skein. The pattern is written and it should be easy to memorize. I’ve printed and read the pattern 15 times. It took me a bit to wrap my head around how it worked but I think I have it now. And I’ve hand wound my yarn and pulled needles. This is worked on size 6s. I’m not going to swatch per se, I’m just going to go with the flow as “fit” isn’t a huge thing with a scarf/shawl. Those could be famous last words…. One vanilla rainbow is in the books! The colors have grown on me. And the sock fits like a dream. The yarn made a nice dense fabric that should be warm this winter. I just wish more of the rainbow had popped. It does peek out here and there. 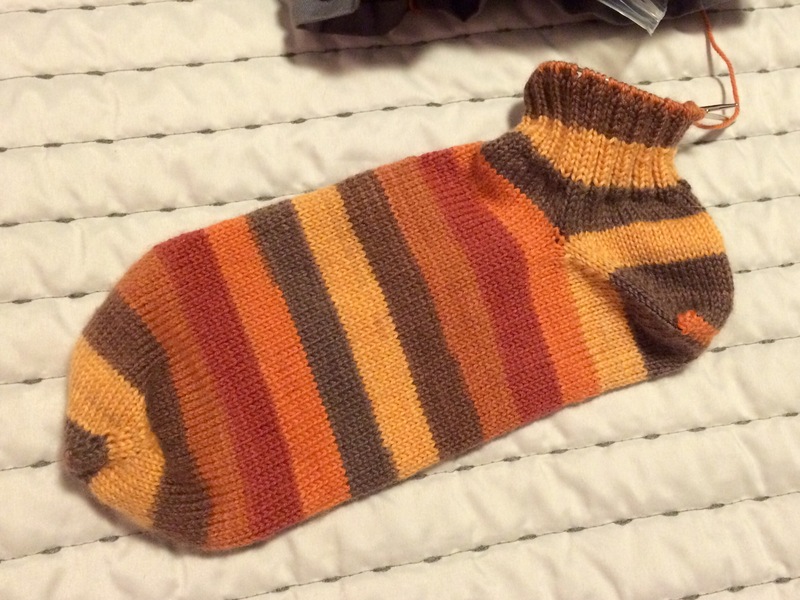 I’ll give more stats on this sock once I finish this second. I’m just too tired from chasing jellybean these days. Excuses, excuses I know. I can tell I’m already going to have lots of leftovers, lol. 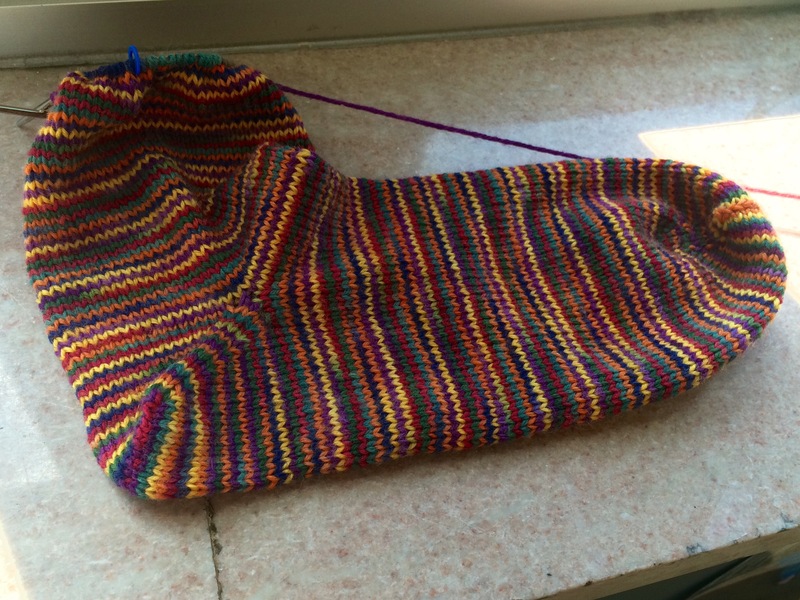 Here is the start of the second sock. I’ve put the afterthought heel into my first Vanilla Maple. 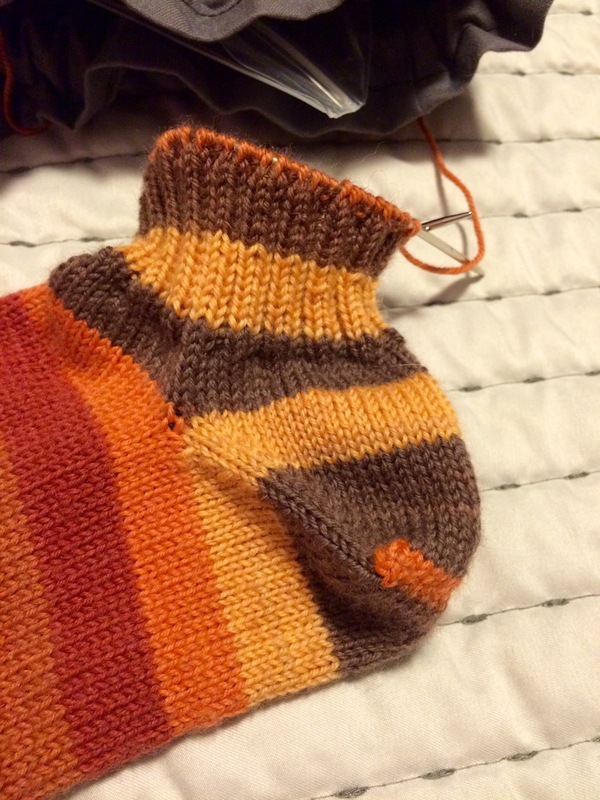 I was chuffed to get the heel inserted exactly between two stripes. The colors didn’t fall in order but doesn’t bother me one bit. It’s beautiful and I adore the tiny orange bit (I think it looks like a smile peeking out)! These socks are just so pretty and deliciously addicting! 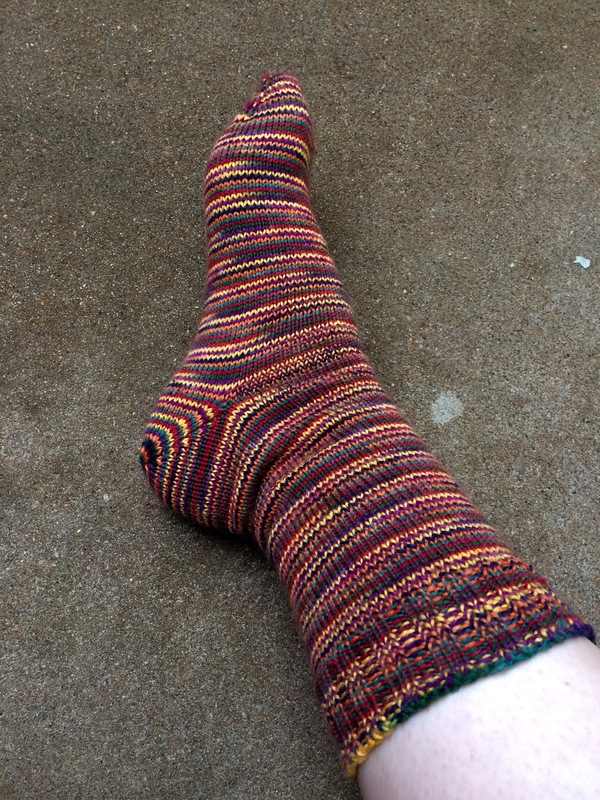 My sock mojo continues with my Vanilla Rainbows. I was really excited about this yarn in the skein. It’s Knit Picks Stroll hand-painted in county fair. 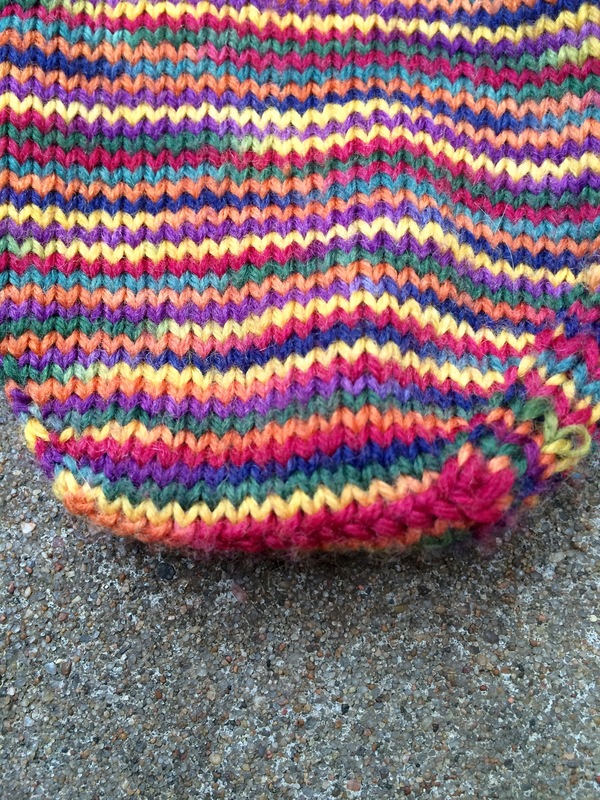 It’s a yarn with very short color repeats of rainbow colors. So short in fact that in my standard 70 stitch sock the colors get a bit muddy in my opinion. I don’t hate it but it’s not as “pretty” as the skein. They will still make lovely warm socks. These are going crazy fast as I’m doing straight vanilla stockinette. The afterthought heel is in and I’m cruising. This sock lives in the car right now for the daily commute with the hubby. What’s your favorite car knitting? 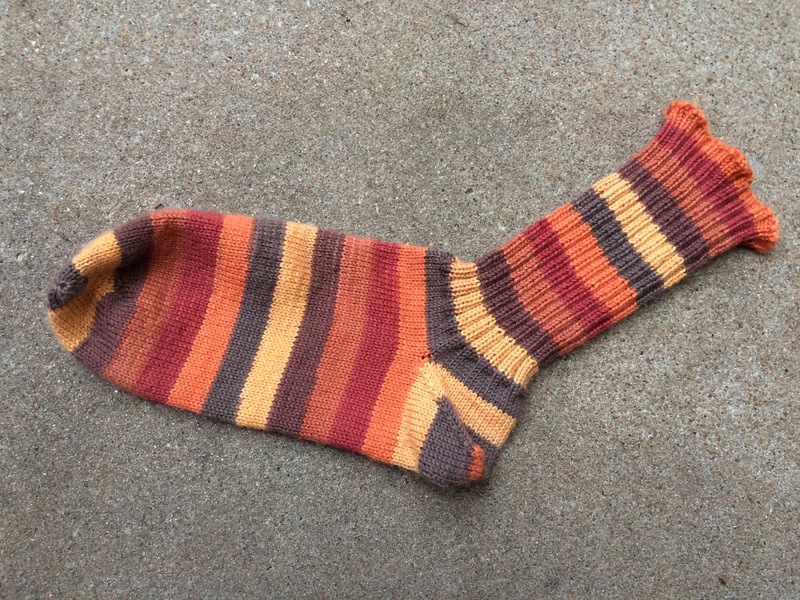 After a lot of thinking and possibly flipping a coin the winner is…….vanilla maple socks! 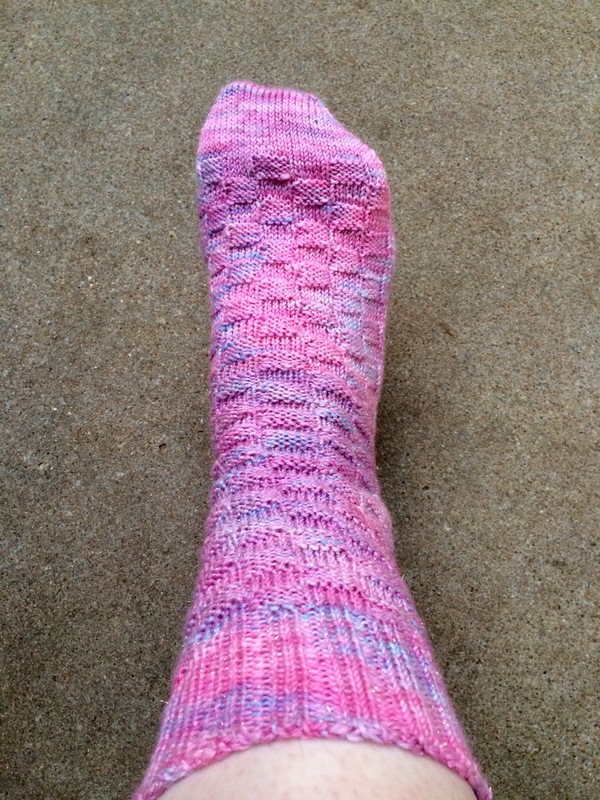 I’ve knit and inserted scrap yarn for my afterthought heel. I also decided to do a 2×2 rib for the leg. This sock is on US 0s with 74 stitches total (I normally work 68/70 stitches on US 1s). 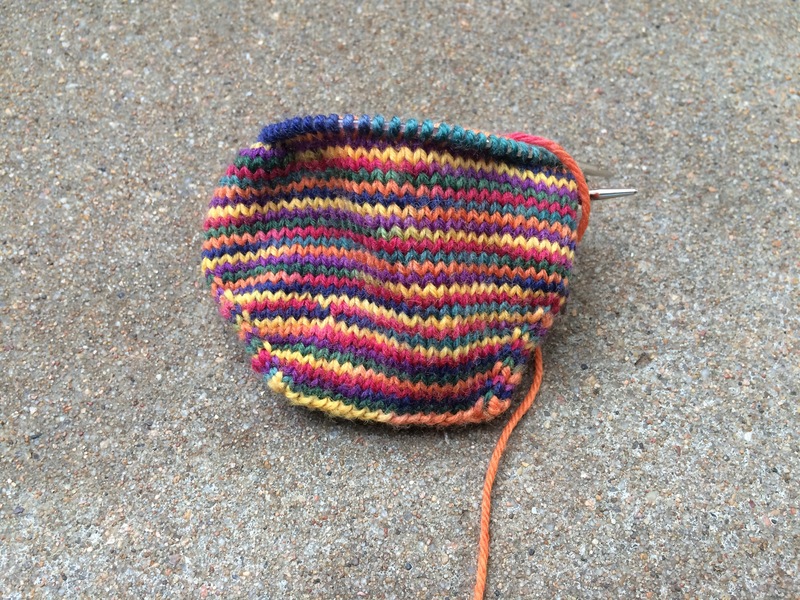 I was trying to get my normal sock gauge with this Felici that feels a bit finer than other color ways I’ve worked with. So I hedged my bets and went with a ribbed leg that would be more forgiving and hug my leg without falling down. I’m totally loving these stripes! They are kind of addicting….